We are back with another delicious recipe that uses Deli Kitchen’s fantastic range of flatbreads. This time, we are sharing a recipe for a family meal. 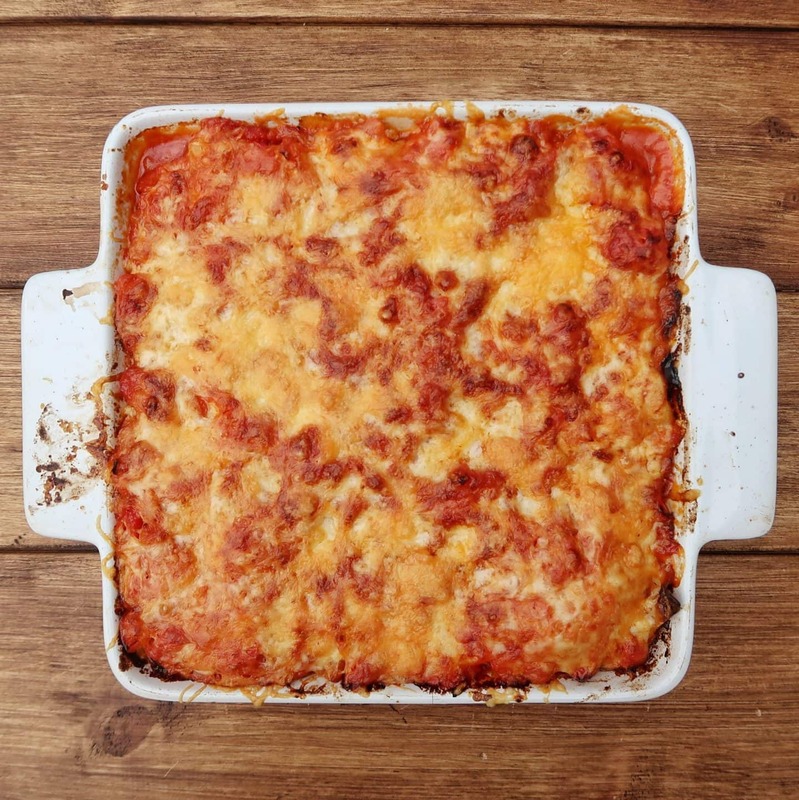 Cheesy Chicken and Cannellini Bean Baked Enchiladas make for a hearty and warming treat – perfect for when the nights draw in. As it is made with Deli Kitchen’s Skinni Wraps, (under 100 calories per wrap) in is also a healthier alternative to dishes made with heavier tortillas. If you are looking for a lighter meal, why not take a look at our recipe for Deli Kitchen Skinni Wraps with pan fried chicken and garlic and pecorino drizzle. Cheesy Chicken and Cannellini Bean Baked Enchiladas. 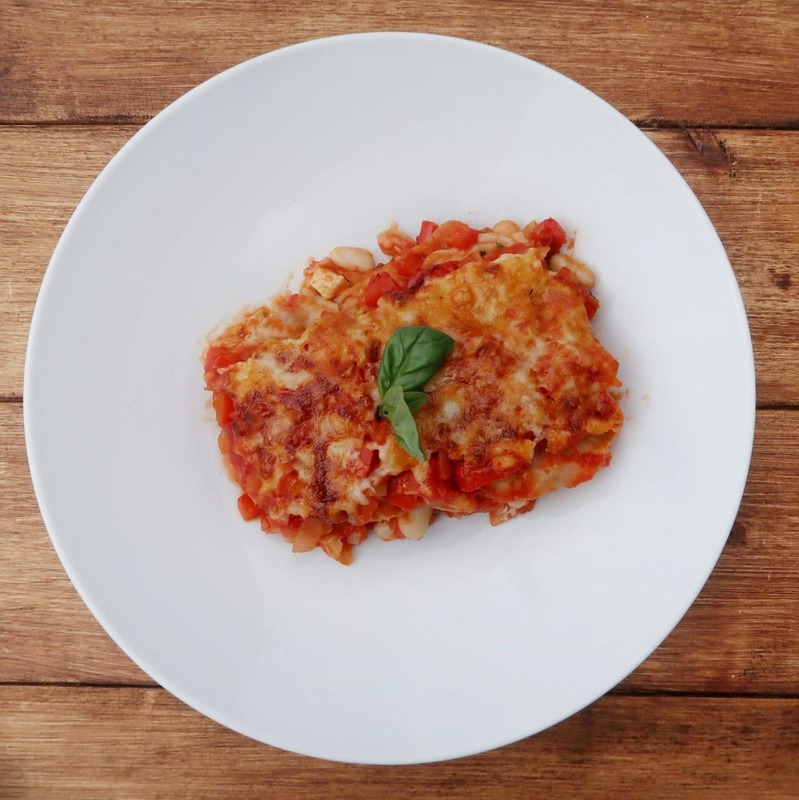 A sauce of fried onions, chicken, mixed herbs, cannellini beans and tinned tomatoes, finished with grated cheese, is stuffed inside Deli Kitchen skinny wraps. 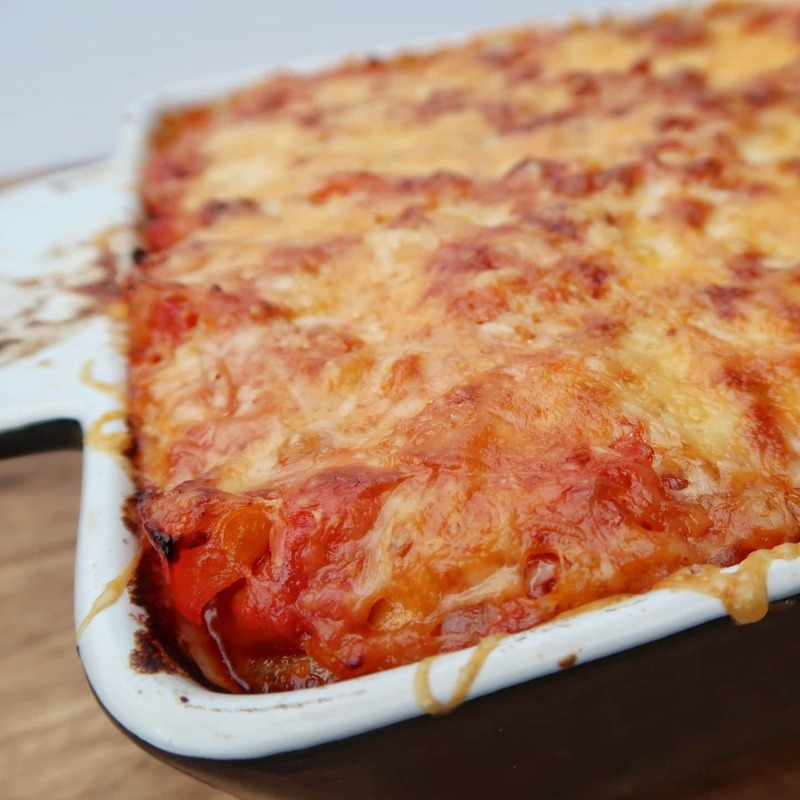 Layered in a shallow dish, these are smothered in a red pepper and tomato sauce and topped with cheddar cheese, then baked to a golden, gooey treat for the whole family. Preheat the oven to 220 degrees (200 fan). Finely chop the onion and sweat gently in a frying pan in a little oil until soft. Meanwhile, slice the pepper in to thin strips and fry briefly in a little oil in a hot pan. Pour in one can of tomatoes. Then, add a teaspoon of mixed herbs, season with salt and pepper, and leave to bubble away and reduce. Add the finely chopped garlic clove and a teaspoon of mixed herbs to the onion and, after a minute, add the chicken strips. Fry until they stop being pink on the outside. Add the other can of tomatoes and the puree to the chicken pan and get it bubbling to reduce by about half (as with the other pan). Add the beans to the pan, warm through and season with salt and pepper. Take the chicken, beans and tomato mix off the heat and, while it cools slightly, lay out your Deli Kitchen skinny wraps and divide half of the cheese equally amongst them. Spoon on the chicken, bean and tomato mix and wrap each one. Put a couple of tablespoons of the tomato and pepper sauce in the bottom of a baking dish and spread it in to a thin layer to stop the wraps sticking to it. Lay the filled wraps side by side in the dish, then pour over the rest of the tomato and pepper sauce and top with the remaining half of the cheese. Bake for 20 minutes, until the top is golden and melty. Leave to stand for 5 minutes before serving. And there you have it- a quick and healthy meal for the whole family. 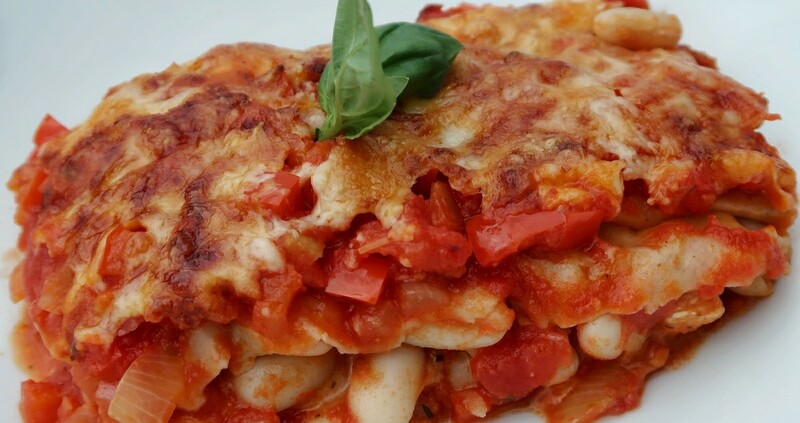 Cheesy Chicken and Cannellini Bean Baked Enchiladas are an indulgent and comforting alternative to baked pasta dishes like lasagne. Deli kitchen have a fabulous range of healthy flatbreads and wraps and you can check them all out here. Please note, this is a paid collaboration with Deli Kitchen. Oh this looks AMAZING! I needed some meal inspiration for next week and this is definitely going on my meal plan. Yum! I would love to make a vegetarian version of this recipe as a main meal. It looks and sounds delicious! My wife is not overly keen on tomato based food though for some reason…. I would love it! 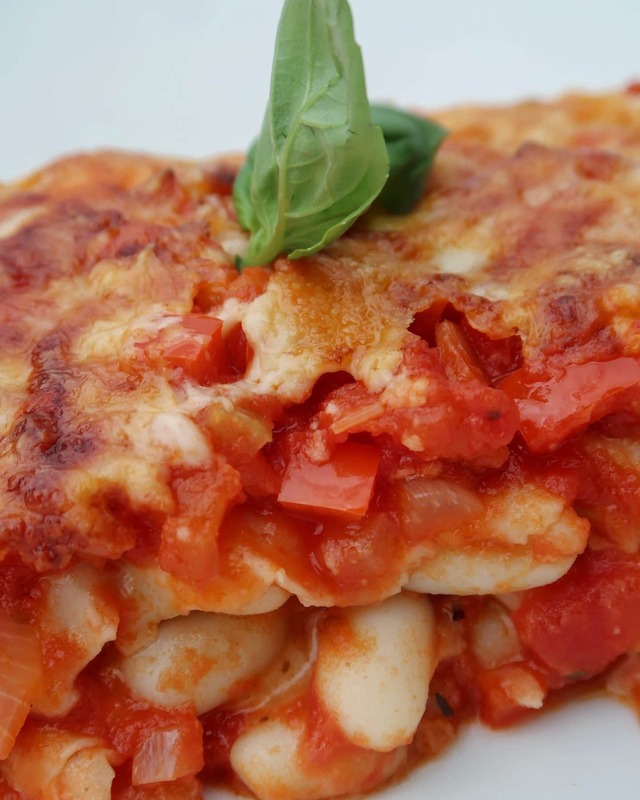 This looks delicious – I do something very similar with pasta. Can’t wait to try it out. Never heard of Deli Kitchen skinni wraps. Pleased to have the brand intro and the recipe. Thanks. That looks very yummy! Thank you for sharing your recipe.